Getting your money OUT of your account should be just as easy as getting it into your account. In fact... it should be even easier. 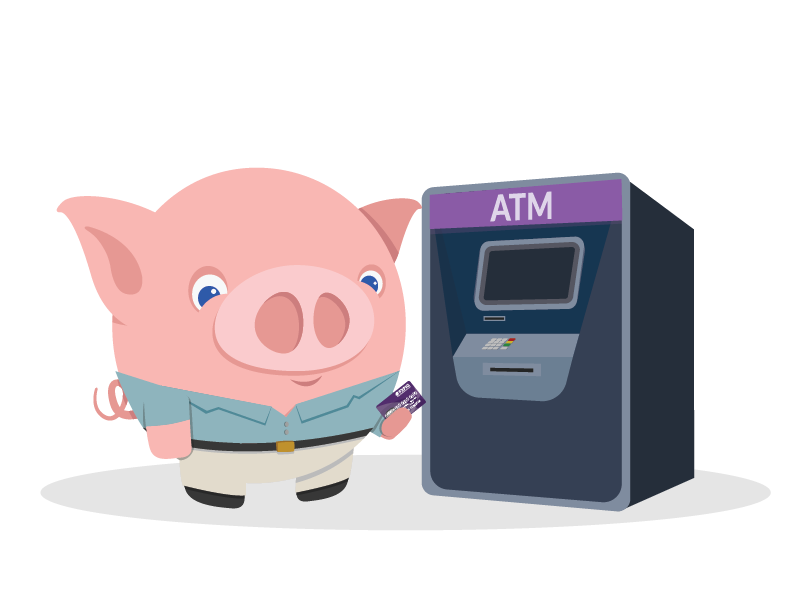 FXPIG, via it's own PIGcard provides INSTANT withdrawals from your eWallet accounts, so you can have access to YOUR hard earned cash WHEREVER you happen to be WHENEVER the need arises. Why do I absolutely NEED this Card? Payment Cards are nothing new, and you probably have a few sitting in your wallet or tucked away somewhere collecting dust. So why order another one? Aside from the fact of coarse it's the coolest cards around? Cards can be ordered from inside your MyFXPIG Profile, once you have submitted and received an approval on your GO LIVE application, by clicking on the Cashier tab, requesting a withdrawal, and selecting the PIG Card as your withdrawal option. The cost of the card is 20 USD/EUR/GBP and includes standard airmail delivery. When ordering the card you will be asked for a current proof of address that matches the shipping address where you want the card to be sent. If you wish your card to be sent via courier there is an additional 50 USD cost, should this be the case please just make sure you select Courier as your Delivery Option when ordering the card.